Preparation of monthly financial statements. Comparison of business performance withindustry ratios. Tracking of sales, purchases, inventory,assets. Payroll processing and tax returns. Special analysis, reports and pro formas. Assistance in securing capital and creditlines. Preparation of year-end business and personal tax returns. 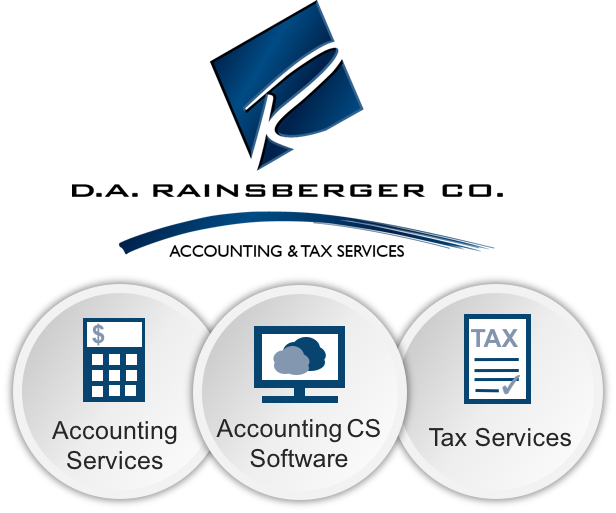 Our accounting and tax firm offers a full range of advanced financial-management services through its accredited business accountants, tax preparers and tax advisors (Accreditation Council for Accountancy and Taxation, Inc.) as well as enrolled agents (Internal Revenue Service). We can help improve your financial systems, processes and ensure that your organization complies with the latest government and industry regulations. We can even help you understand key performance indicators for your business, and show how you compare with others in your industry. Additionally, we can help you plan for the future while minimizing tax liabilities. © 2019 D. A. Rainsberger Co. All Rights Reserved.